I love my life. It’s a wild, wacky, wonderful roller coaster of a ride full of fun and laughter. And, like yours, it’s also jammed with jolting ups and downs, sharp turns, and inside-out loops that make my head spin. But you know what makes my heart tingle and keeps me living a life worth loving? Humor. And, believe me, I see it everywhere, whether it’s reminding myself that “Life Is All About How You Handle Plan B” or acknowledging that “Real Living Begins Where Your Comfort Zone Ends.” I can justify a certain addiction by telling myself that “Behind Every Successful Woman Is a Substantial Amount of Chocolate,” and I absolutely “Never Underestimate the Power of a Hissie Fit.” My bottom line is “Pretending to Be a Normal Person Day After Day Is Exhausting.” Wouldn’t you agree? particular roller coaster, you truly are living a life worth loving. So sure, I’m a tad wacky and just shy of crazy. 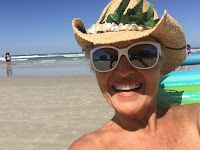 But I'm 61 years old, I dance the hula and live in a funky little town called New Smyrna Beach right on the oceans edge and my studio is right across the street. I eat way too much chocolate, (I like the dark stuff), I ride a little red scooter around town and I dance the Hula twice a week with a bunch of the most Wonderful Wacky Women God ever created. 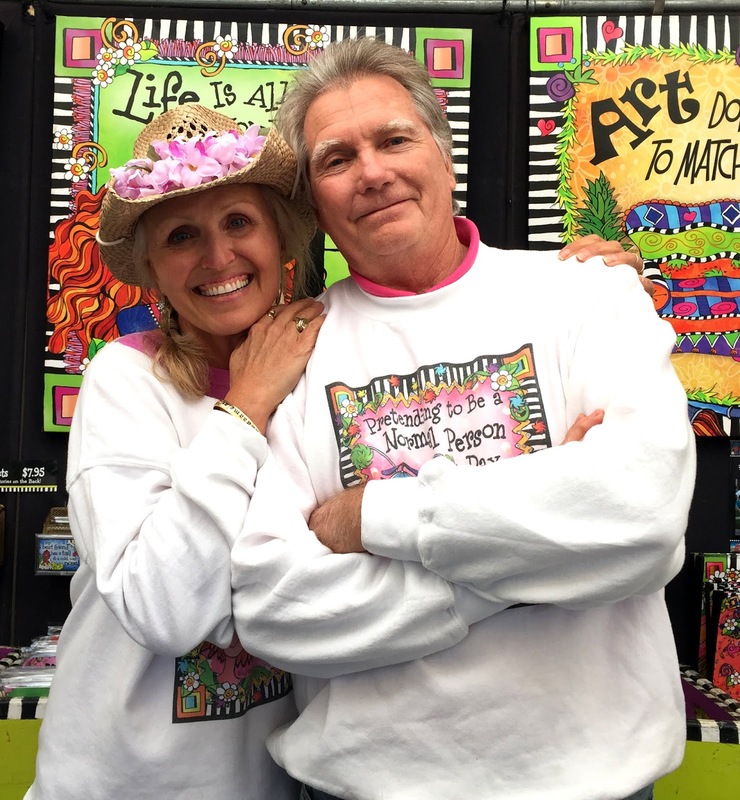 I am blessed to be married to the love of my life, "Big Al," for 32 years. We have five grown children and 15 grandkids who love me as much as I adore them. No, my life is not perfect but this I believe with all my heart: Life doesn't need to be perfect to be wonderful. This is the Wild Wacky Wonderful life I lead, and I wouldn’t have it any other way. This is it _ the blog that I have been wanting to write and has been floating around in my head for the last ten years. Like a flock of cute little penguins all crowded onto an iceberg, each of these posts have been fighting for space, hanging on for dear life, and waiting for a permanent home. So, finally, with the help of my amazing friends and family who prodded me, encouraged me, and threatened to start throwing those penguins off the edge if I didn’t do something about it... I did! It’s a wild and wonderful journey that has rekindled my passions for what I love most…writing. My hope is that you will want to join me on this journey and that it will inspire you to embrace your inner wackiness, and help you to truly live a life worth loving.